Dr. Greuner was an unlikely surgeon. Majoring in Economics in his undergraduate years, his post-university experience was more focused on fitness and health than on a medical career. His interest in anatomy and his overall knowledge of the human body did eventually lead him into the medical sphere, attending St. George’s University School of Medicine before obtaining an important surgical internship. Despite his obvious talent and potential, he lost his position and had to start from scratch, slowly building his way up the ranks with only his ambition and self-determination to push him through. Eventually gaining impressive experience as a resident at numerous medical centers, his residency at the University of Arizona and Mount Sinai School of Medicine affiliate hospitals led to the recognition he had been looking for, and he was named Chief Resident of the year. Just as many patients feel hospitals to be cold and impersonal, Dr. Greuner was not inspired by the relatively sterile and standardized processes of hospital surgery. Looking to find his own path in the medical world, he began to think of opening his own practice. This would not only give him the opportunity to create a more personalized treatment process and atmosphere, but also give him the innovative freedom he had been deprived of. Dr. Greuner, in comparing the patient experience at his own practice and the hospital approach, describes his as a more “conscientious approach to the patients,” in large part due to his commitment to taking care of the patient from beginning to end. In the beginning, his NYC Surgical Associates practice was only part time as he was living in Boston at the time. Every weekend, he would make a grueling commute to the city to see his patients. The more time passed, the more the excitement and the thrill of endless possibilities rose, reaching a point to where it became impossible for him to remain in Boston. After six months of commuting, he had finally decided to make just one last journey to New York, moving permanently to the city in order to devote himself completely to his practice. Starting off small, New York City Surgical Associates (NYCSA) began to grow exponentially with the addition of highly skilled and impressive doctors: from anesthesia to spine, endovascular to cosmetic and reconstruction, the different specialties of the physicians and surgeons increased patient volume. Graduates from prestigious medical institutions such as Yale University School of Medicine or RUSH University Medical Center, Dr. Greuner recruited the best and the brightest medical minds to create the best possible surgical care for his patients. Since the areas of focus of the practice are not geared towards lifesaving surgeries and procedures, the desired demographic is not your run of the mill New Yorker. Having expanded to nine offices in New York City, the locations themselves are representative of the typical patient: with two offices on 60th and Madison and one in Chelsea, the patients tend to belong to more of the upper middle class. Despite this demographic, Dr. Greuner puts a strong emphasis on his refusal to “cherrypick his cases.” Conducting many pro-bono cases, he asserts that the people who he wants to pick for pro-bono are people with real problems. “We don’t just have the average person off the street, and it’s not because we feel we owe them something. We do it because we want to.” For Dr. Greuner charitable work is a big part of what he does when he’s not working. This May he traveled to the Cannes Film Festival for the Generous People Gala which raises funds for The Heart Fund which saves the lives of children suffering from cardiovascular diseases in third world countries by investing in technological innovations and solutions. This charity was created by Dr. David Luu, one of NYCSA’s associates. In explaining another of his areas of interest, Dr. Greuner gives us perhaps the best explanation of NYCSA’s goals: “A lot of the stuff we treat is not life threatening, it’s quality of life threatening.” The example given to show how he aims to achieve this goal is based off a representative NYCSA patient narrative: Say you work out a lot. You have a hernia, and a typical treatment of this would have been to implant a mesh, a patch that prevents the bowel from getting stuck. However, while the danger is usually lessened, the hernia, and the corresponding bulge of your abdomen, remains. The NYCSA’s solution is of its own design: through a complex body-wall reconstruction, or a moving around of your musculature to reinstitute your natural physiology, your functional capacity is resolved, and the aesthetic problem gone. With all of these new procedures developed just within the last ten years, it seems we are only skimming the surface of what Dr. Greuner can do. Our only question: What’s next? 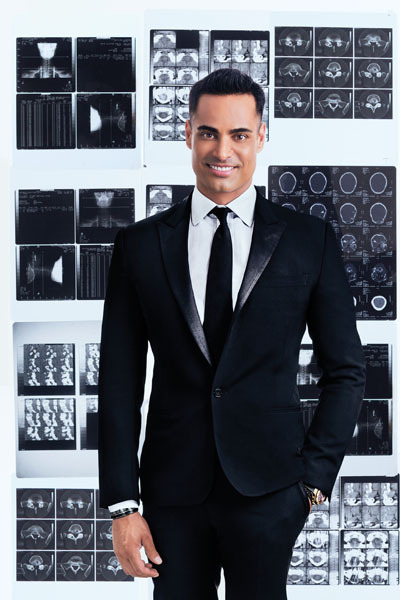 For Neurological and Spine surgery Dr Arien Smith is an expert having graduated from the Yale University School of Medicine and having received his B.A. in Biology and Spanish from University of Rochester. Dr Smith has the rare combination of subspecialty training in both orthopedic and neurosurgical spine surgery for chronic, acute, and traumatic issues. He also brings to NYC Surgical Associates his experience in pediatric deformity and scoliosis surgery. Dr. Jason Hanks specializes in regional anesthesia and acute pain management. Although Dr. Hanks’s anesthesia training encompassed a broad base of surgical procedures (Neuro, Cardiac, Laparoscopic, Thoracic and Obstetrical), his area of interest lies specifically in multi-modal pain management, and using peripheral nerve blocks to manage postoperative pain and make recovery as effortless as possible. Dr. Hanks is active in continuing medical education, is actively involved in community education, including medical volunteer work with NYC Surgical Cares and The Heart Fund. Dr. Victor Rosenberg, whose specialty is Cosmetic and Complex Reconstructive Surgery of the entire body, has been in private practice since 1970. For twenty years he was the director of Plastic Surgery at NYU Downtown Hospital. During the Viet Nam War, he was a Commander in the United States Navy, serving as Chief of Plastic Surgery at the St. Albans Naval Hospital. Dr. Rosenberg is the inventor of instruments used in Plastic Surgery and other surgical specialties. He has authored papers which were published in medical journals. With more than 16 years of experience specializing in breast and body procedures, Dr. Fiorillo is recognized as one of the most experienced plastic surgeons in his field. Always looking to improve his technique, he recently traveled to Sweden to be trained by Sientra®, the creators of the popular Gummy Bear breast implants, on advanced procedures and best practices for implementing silicone breast implants. His expertise and thousands of successful surgeries have brought him the honor of being appointed by Sientra, Restylane, Dysport, and Perlane to train other doctors in the United States. Due to his renown, Dr. Fiorillo has performed cosmetic surgery on numerous movie and television stars. He is frequently sought after by mainstream media outlets and programs for his expert opinion, including: Fox News, Good Morning America, The View, The Doctors, and Real Housewives of New Jersey. Dr. Elie S. Semaan is double board certified in vascular and general surgery, and the Director of the Division of Vascular and Endovascular Surgery at NYC Surgical Associates. His undergraduate training was performed at University of California Los Angeles, and residency training at Maimonides Medical Center in Brooklyn, NY, where his surgical experience spanned from general and minimally invasive surgery to critical care, vascular surgery, and cardiothoracic surgery. Dr. Maxim Tyorkin is a leading orthopedic specialist dedicated to providing patients in New York City with the most advanced care for musculoskeletal diseases, injuries and disorders. His in-depth understanding of sports injuries helps him develop the most comprehensive treatment plans for all sorts of injuries to joints, ligaments, tendons and other soft tissues so recreational and professional athletes can return to their sports as soon as possible. He also has a wealth of experience treating occupational injuries, age-related diseases such as arthritis, and traumatic injuries sustained in car accidents and slip-and-fall accidents.